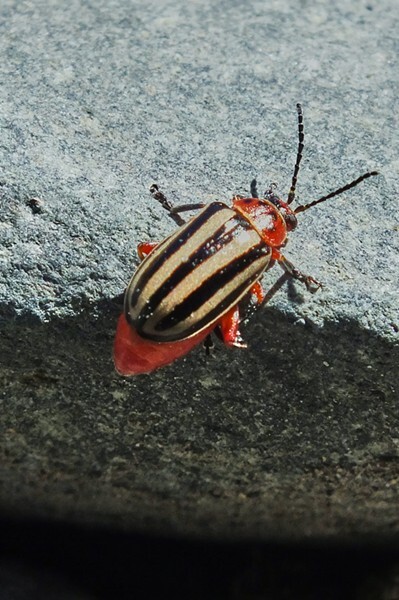 Striped willow beetle, about 1/4 inch long. The great geneticist and evolutionary biologist J.B.S. Haldane once said, “The creator, if he exists, has an inordinate fondness for stars and beetles.” It is believed there are more species of beetles than any other order of animals on the planet. They fill so many niches in the environment it is no surprise to happen across one in an unexpected place. 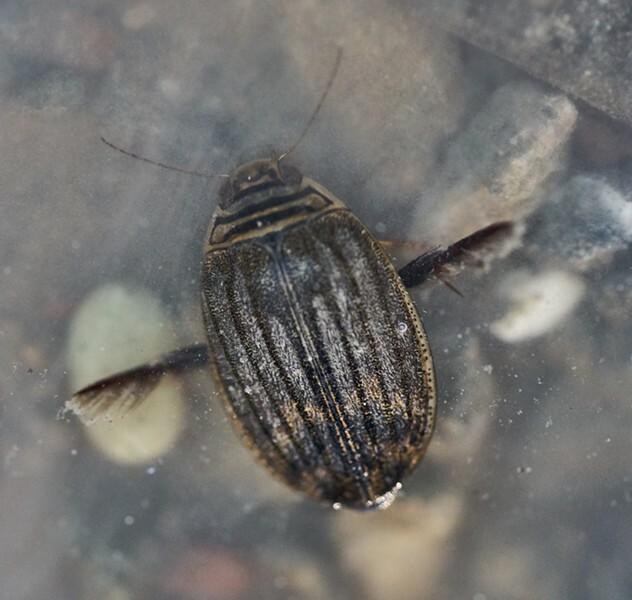 Predacious diving beetle about 3/4 inch long. 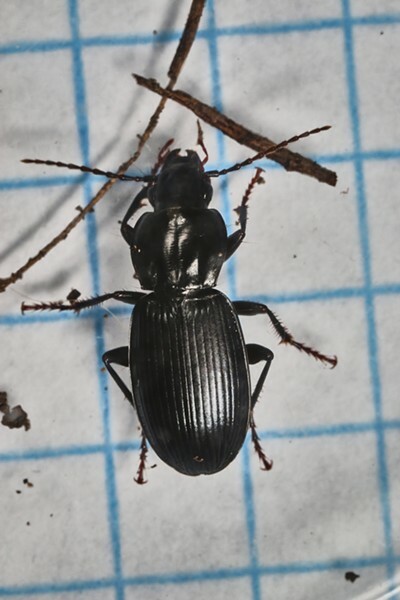 These beetles are good fliers, allowing them to escape a drying pool but having only a bug's brain, they often land on shiny, dark cars. 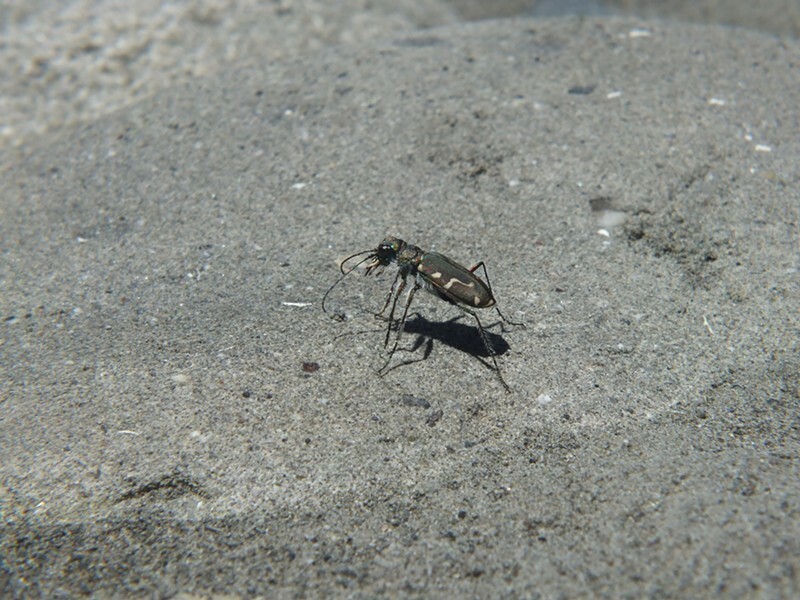 A western tiger beetle standing tall. Beetles fill so many different roles in nature it is impossible to catalog them all and entire books are devoted to this one order. Two excellent volumes from my collection of entomological books devoted to just this one order are Field Guide to the Beetles of California and Peterson Field Guide to the Beetles. Like Cruella DeVille: "You come to realize you've seen her kind of eyes watchin' you from underneath a rock!" A pretty common ground beetle hereabouts.